This summer, Information Technology went greener with a new printing procedure. 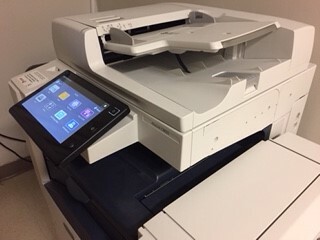 This is more environmentally friendly, eliminating the high number of documents that may be printed unnecessarily, filling up the recycling bins. Select your document; the message Print job will be displayed. Documents are held in the printing queue for 12 hours. If they are not printed during this time, they will be removed from the queue. For example, if you send a document to the printer at 9 a.m., you can print it until 9 p.m.